All puppies are absolutely good and pure and beautiful, but there’s something about cocker spaniel puppies that really steals our hearts. When we learned about this adorable Instagram famous pup, we fell even further in love with these precious little buddies. 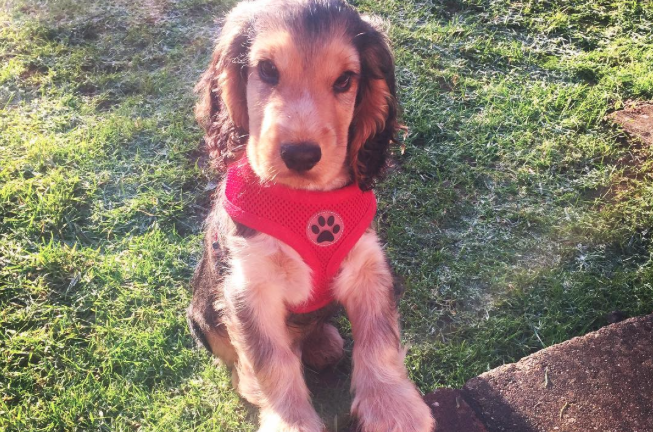 Get ready to freak over this cocker spaniel puppy! We sure did. Meet Theodore, the new love of our life in a very big way. Just look at this little face! Our hearts are seriously going to burst. Our fave thing about this cocker spaniel is that he loves sitting in random objects. Awww. OUR HEARTS CAN’T TAKE THIS. Just look at him as a pup! Just look at him in the snow! He looks so baffled. This little puppy is so adventurous. We have major warm and fuzzies. All he ever wants to do is cuddle, which is lucky, because all we ever wanna do is cuddle him right back. We wanna give him all the kisses. Nothing but heart eyes happening over here!